I have spent the past several days sorting, organizing and scanning (and, on occasion, rudimentary editing of) old photographs. Mom had the photographs, hundreds and hundreds of them, stored in cardboard boxes. Many of the photographs do not have dates, names or any identifying information. This activity is, and will continue to be for some time, a work in progress. As I mentioned above, many of the photographs contain no identifying information. 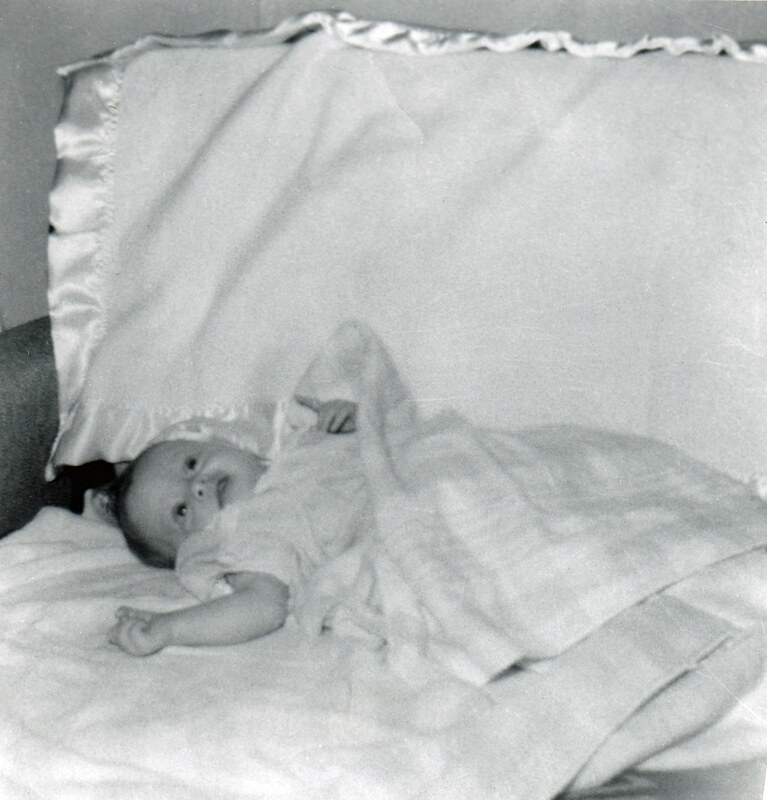 Imagine my exhilaration when I discovered photographs of my parents days before I was born, as well as photographs of my parents and me when I was one month old! 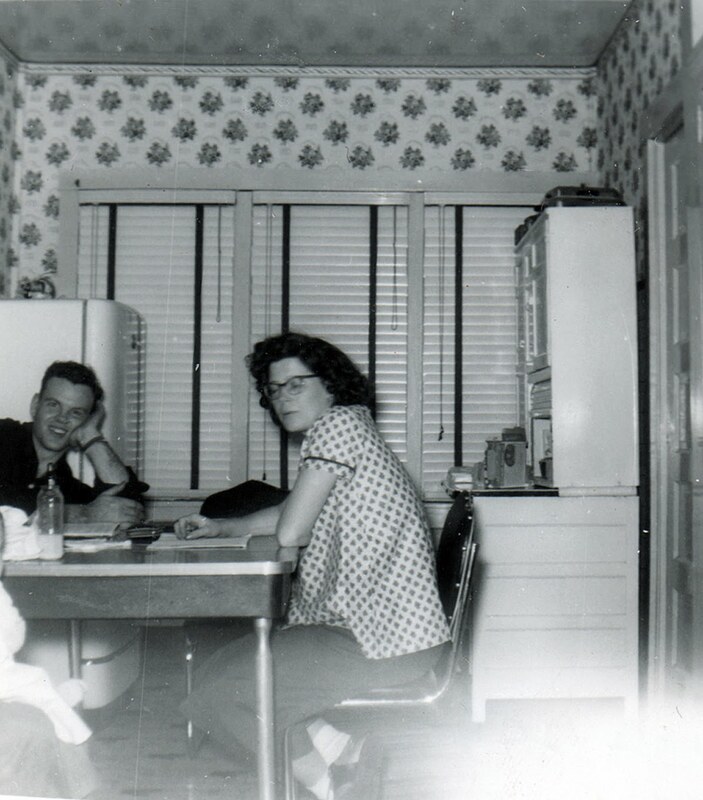 This photograph of my parents was taken on February 12, 1956 — 11 days before I was born. 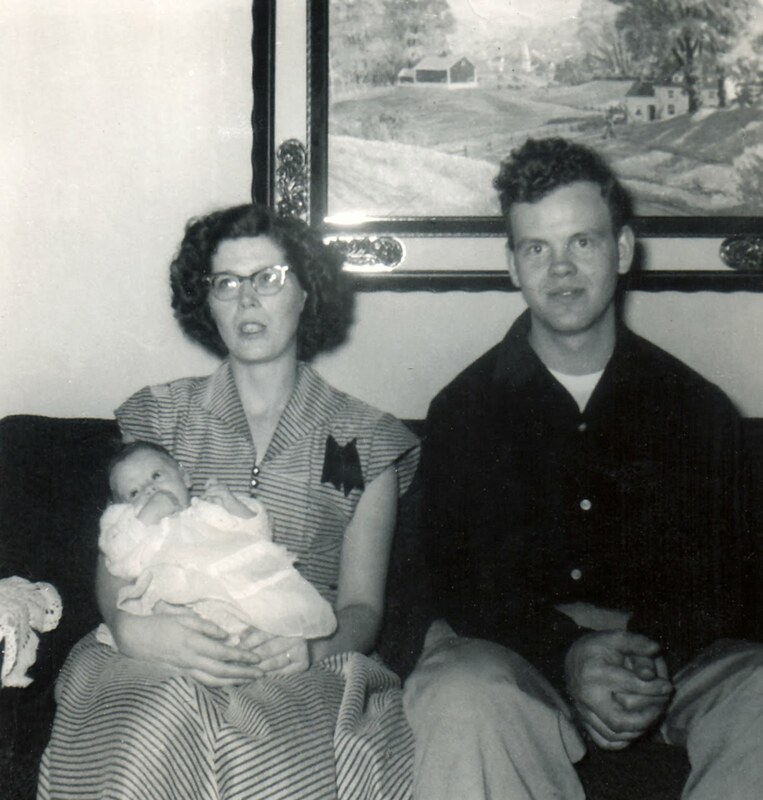 My grandfather, my mother’s father, was killed in an automobile accident 20 days before this photograph was taken. According to the Kittanning, PA, newspaper my grandfather’s “auto hit an icy spot on a … curve, crossed the road, vaulted a guard rail fence, … and plunged over an embankment into Garretts Run”. My grandfather was on his way home at the time of the accident. It’s a wonder that Mom didn’t give birth to me the day of her father’s death! The next two photographs were taken on March 25, 1956. I think that I recognize the picture on the wall. If so, this photograph was taken at my maternal grandmother’s house. Aaaawwwww, so sweet! 🙂 I hope you are able to identify photograph dates and the people in them. Good Luck! I love photos of my past too. They help me remember the stories my mom told me about life before I can remember. You were a very cute baby! Thanks for sharing these photos.